Harrison, C., Xiao, R., and Hudson, S.E. 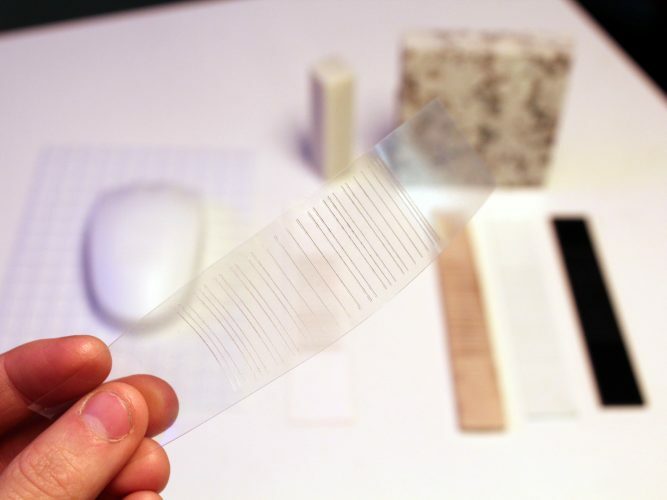 Acoustic Barcodes: Passive, Durable and Inexpensive Notched Identification Tags. In Proceedings of the 25th Annual ACM Symposium on User interface Software and Technology (Cambridge, Massachusetts, October 7 – 10, 2012). UIST ’12. ACM, New York, NY. 563-568.